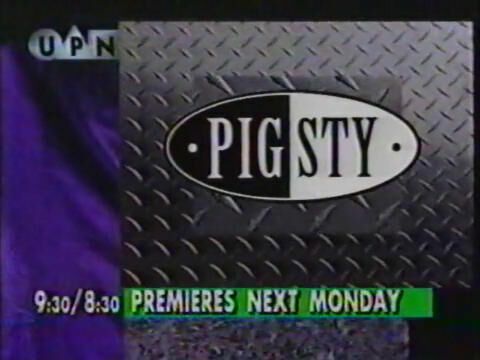 Here’s a promotional spot for the series premiere of UPN’s Pig Sty, one of two sitcoms in the network’s inaugural schedule. The series debuted on Monday, January 20th, 1995. Like most of UPN’s first shows, it was a failure and was cancelled after 13 episodes. Repeats continued to air until August 1995.